Laissez les bons temps rouler! We “let the good times roll” when Islander’s conference sessions ended for the day in New Orleans, Louisiana (pre-Katrina). In the late afternoons and evenings that week, we wandered around Bourbon and Canal streets and strolled around the French Quarter. We liked listening to live jazz bands while dining on crawfish etoufee, jambalaya and gumbo at one of the many restaurants in town. Highlander drank chicory coffee at Café du Monde. He even tasted fried alligator nuggets in N’awlins! And Islander, with her notorious sweet tooth, enjoyed both the beignets and bread pudding in the Big Easy! Cajun and New Orleans-inspired foods are prominently featured at Fat Tuesday celebrations outside of Louisiana. For Mardi Gras get-togethers here in South Texas, we usually bake bread pudding and serve the slices with a vanilla-whiskey sauce (and during Lent, we cook capirotada, a Mexican bread pudding). 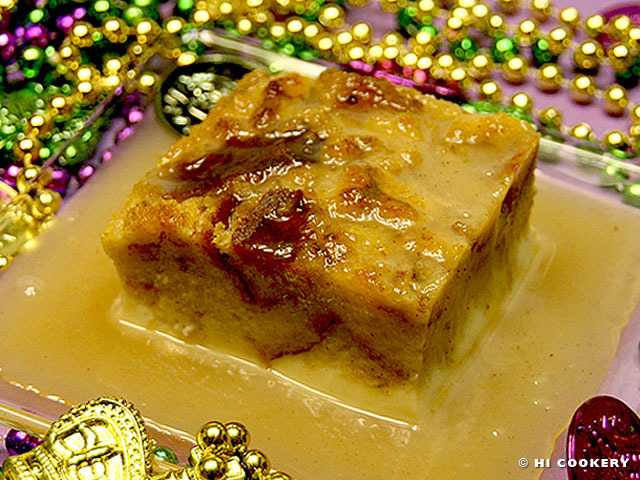 Before Ash Wednesday, indulge in this Bourbon-infused bread pudding for a merry Mardi Gras. Bon appétit! Slice the cinnamon bread into large chunks. Set aside. 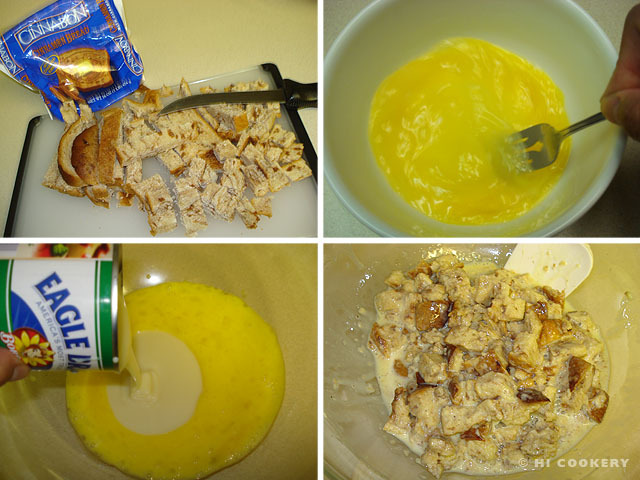 In a large bowl, beat the eggs with the condensed milk. Add the bread to the bowl and allow to soak for half an hour. Pour in the milk, melted butter and vanilla and toss well. Place into a greased 8x8x2-inch square baking pan. Place the pan in a larger pan. Make a water bath by filling the larger pan with water about ½-inch up from the smaller pan. Bake in a preheated oven at 350 degrees F for 45 minutes or until set. Remove from the oven and cool in the pan on a wire rack. Cover and refrigerate for at least 6 hours to solidify. Slice cold. The bread pudding may be reheated in the microwave and served with vanilla-whiskey sauce. In a saucepan, mix the sugar with the cream. 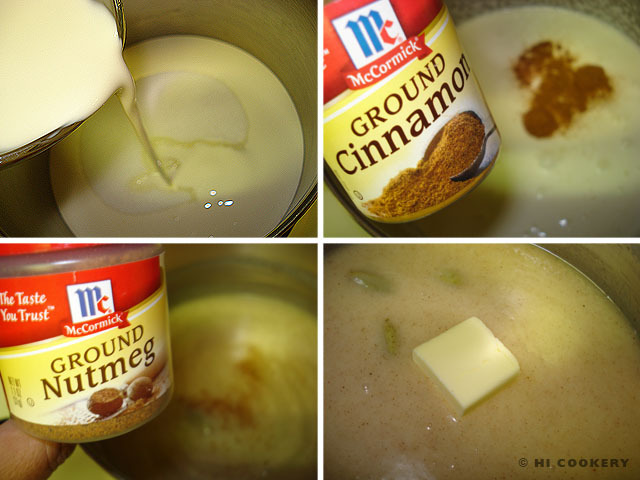 Add the cinnamon, cardamom and nutmeg. Place the butter in the mixture and bring to a gentle boil, stirring well, until the butter is melted. In a small bowl or measuring cup, make a slurry by mixing the whiskey with the cornstarch until smooth. Add the vanilla. Pour the slurry into the gently boiling butter mixture. Stir until the sauce is slightly thickened. 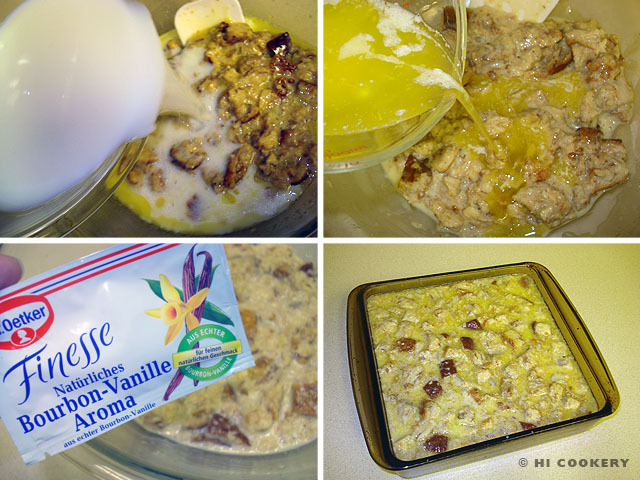 Remove from the stovetop and cool slightly before generously pouring the sauce on top of a slice of bread pudding. When reheating, the sauce will become more liquified. 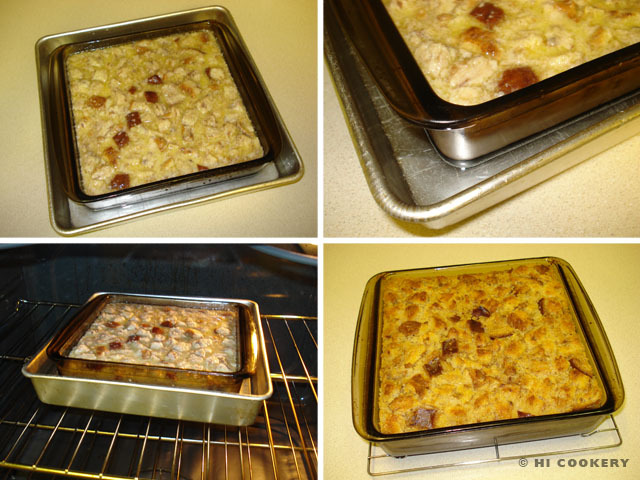 Feel free to add ½ cup of raisins to the bread pudding batter before baking. 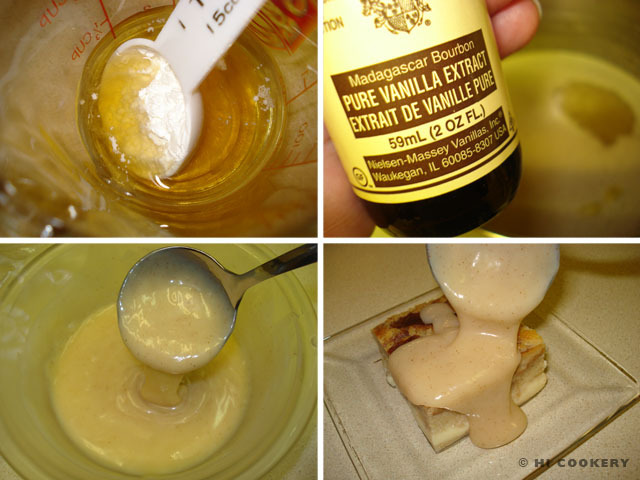 The vanilla-whiskey sauce has a slightly thin, syrupy quality and does not have an overpowering alcoholic taste, which complements the custard-like texture of the bread pudding well. King’s cakes are also popular on Mardi Gras. We made a galette des rois for Epiphany with the same concept of a hidden trinket (representing Baby Jesus) in the king’s cake. Thanks to Lisa L. for the sample packets of Bourbon vanilla from Europe.